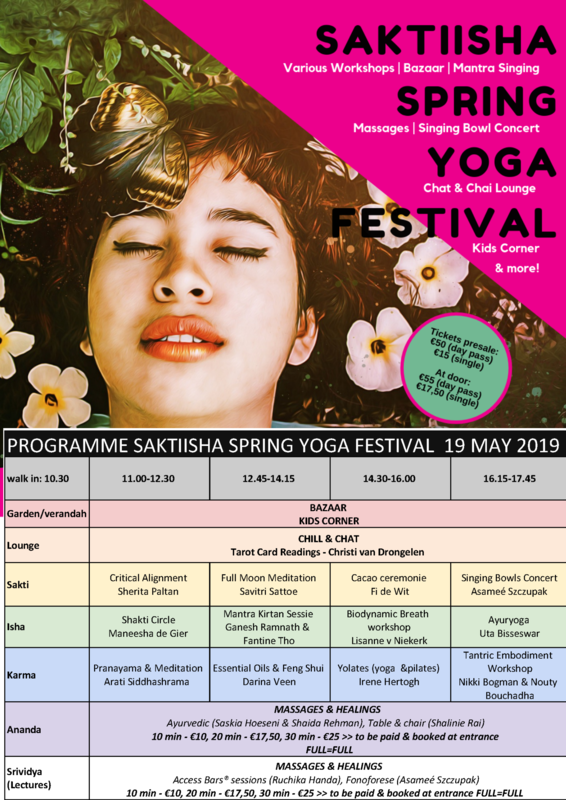 Our third yoga festival in our beautiful studio on Javastraat 12, The Hague. We have a nice variety of workshops and activities on offer. Treat yourself to a healing or massage. You are also most welcome to just chill in our tea lounge or our garden and grab a bite from one of the food stands. For the children we have a kids corner for them to get creative. Mail us to get your discounted card on your account.